Dance Marathon is a student organization that raises money each year for Children’s Miracle Network Hospitals. Our local Miracle Hospital is Children’s Hospital & Medical Center in Omaha. Over the last 12 years, we have raised more than $960,000 for the kids! This year's record-breaking event helped us raise over $174,000. Be sure to follow us on Twitter and find us on Facebook in order to receive updates about all the exciting things happening with Dance Marathon in 2018. Dance Marathon is a nationwide movement, involving college and high school students at over 150 schools across the country who raise money for the Children’s Miracle Network hospital in their community. These students spend a year learning invaluable leadership and social skills while raising funds in a variety of ways and interacting with children’s hospital patients and families. The year culminates with a 12-36 hour long event where the students stay on their feet through dancing, games, and entertainment in order to celebrate the total amount raised that year. Why stay on your feet for that long? To quote the first Children's Miracle Network Dance Marathon’s mission statement: "We dance for those who can't." 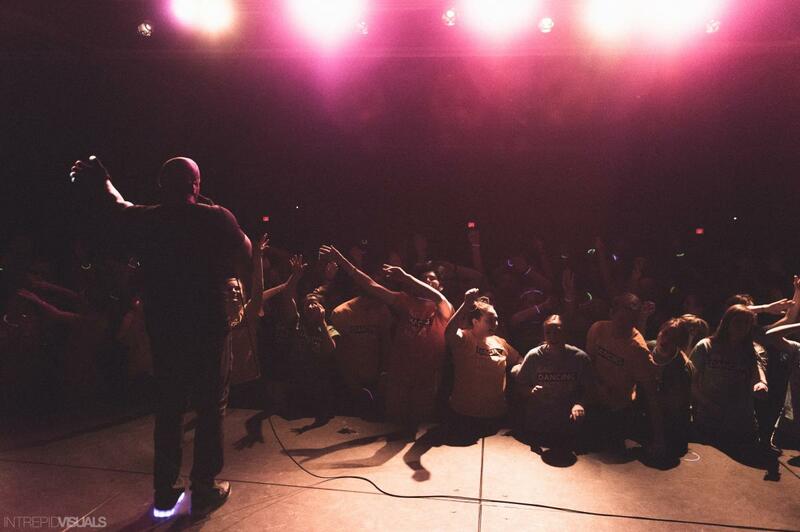 It is this solidarity and connection with the cause that makes Dance Marathon an event unlike any other. Children's Miracle Network Dance Marathon was founded by students in 1991 in the memory of Ryan White. Since its inception, it has grown to over 100 universities and colleges across the country. All entirely student-run, all donating 100% of the funds they raise directly to their local children's hospital, Dance Marathons have become a tradition on campus and in the community. Year in and year out- students throw the biggest party of the year for the children at their local hospital. They stay on their feet for 12, 24, or even 48 hours in honor of children who have been through so much. They dance for those who can't. They do it For the Kids!